Every donor has a birthday. It’s an obvious fact, but nonetheless overlooked by the majority of nonprofit organizations. When you collect the birthdates of your donors, you gain important personal and demographic information. 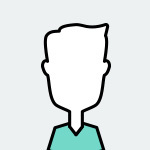 This allows you to interact with your contributors on a more intimate level. Here are four ways to use birthday data to increase donation volume and strengthen the relationship between your brand and supporters. A birthday gift campaign is a peer-to-peer fundraising technique that allows supporters to ask for charitable donations for their birthday in lieu of traditional presents. With the right software, it’s easy for fundraisers to share their birthday fundraising goals with their friends, co-workers, and the world. charity: water, a company that provides clean and safe drinking water to developing nations, is a great example of how to successfully use this fundraising method. On the organization’s website, donors have the option to set up a peer-to-peer fundraising page to “pledge their birthday.” To get started all they need to do is enter their birthdate, name, and email. charity: water then makes it easy to share these birthday pledges on social media so that the participant’s network is aware of their birthday wish. With the average campaign generating $770, charity: water has raised over 9 million dollars via these simple birthday pledges. The more you know about your donors, the easier it will be to organize a birthday gift campaign tailored to your nonprofit. Individually contact donors as their birthday nears and ask them to donate their birthday to your cause. This not only shows the donor that you’re thinking of them on their special day, it also offers them a way to easily get involved and make a difference. We live in an era of vastly different generations. There’s The Silent Generation, Baby Boomers, Gen X, Millennials… all with different outreach preferences and communication tendencies. To engage with each demographic of your supporters as effectively as possible, you should develop a separate strategy for communicating with each group. For example, you won’t reach as many of your elder donors with e-mail or text as you will Millennials. And while you might think you wouldn’t reach as many Millennials with direct mail efforts as elder donors, the seemingly enormous effort of snail mail in comparison to, a social media post, can be endearing to Millennials and therefore still effective. This is true especially for small “thinking of you” moments, such as a Happy Birthday postcard or note. In essence, it’s vital that your nonprofit understands the makeup of your supporter base and the nuanced preferences of each of your target demographics. This information will help you cater your e-mail, calling, text, social, direct mail, and digital-ad strategies, communicate in ways that resonate, and ultimately raise more money. Planned giving may be defined as a method of supporting nonprofits that enables donors to make larger gifts than they could make from their annual income. Many donors use estate and tax planning techniques to provide for charity and other heirs in ways that maximize the gift and/or minimize its impact on the donor’s estate. A planned gift is any major gift, made during life or at death as part of a donor’s overall financial and/or estate planning. While most nonprofits focus their marketing efforts on their eldest constituents for planned giving donations, the data suggests you can also look to slightly younger donors for these bigger gifts. Studies show that the first organization to educate a potential donor about planned giving is the most likely to receive some of his or her estate. So while it makes sense to target older donors who have their entire lifetime of net-worth to give, especially as they plan their wills, it’s important not to neglect younger donors who are now at a financial point in their lives where they can start to think about where to donate their wealth. If your nonprofit typically focuses your planned giving attention on donors in their seventies, you may want to consider expanding that age window. Reach out donors in their sixties, fifties, or even younger to ensure you’re the first to approach. If you know the birthdates of your donors, you will have a head start on being the first organization to reach your contributors about possible planned giving opportunities. This will increase your likelihood of receiving a share of their wealth. For example, whenever a supporter turns fifty, your organization could individually reach out with planned-giving information, with the hope of being the first to educate them about the significant ways they can impact the causes they care about. Finally, a simple yet impactful point to highlight is the mere act of genuinely wishing your donors a happy birthday­—no strings attached. A common complaint among donors is the ceaseless act of asking for donations in every piece of outreach they receive. 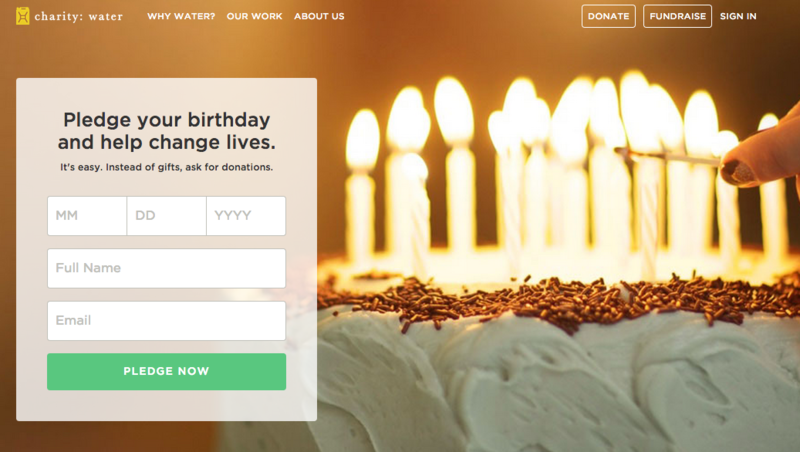 Reach out to your donors with a “Happy Birthday” message, just for the sake of kindness. Without a request to donate, your contributors will feel special, respected, and valued for more than their money. As small of a gesture as it may seem, a “Happy Birthday” can leave a lasting and warm brand impression, and remind your contributors that they matter as people, not as wallets. In a world where multiple organizations are regularly asking donors to make a contribution, birthday marketing is an easy and effective touch point to stay top of mind. Chris LoPresti is a partner at TouchPoints, a donor intelligence company that helps organizations access high-quality data sources to locate all of the information they need to know about their donors. Contact TouchPoints for strategic help in collecting and understanding your donor data.